A lucky dip of six fertilised eggs. From the following selection of breeds each pack of eggs will include at least 3 different breeds and no more than 2 of the same breed. The laying hens live in spacious runs and are fed on top quality Garvo breeders pellets. Fertility rates are constantly monitored. 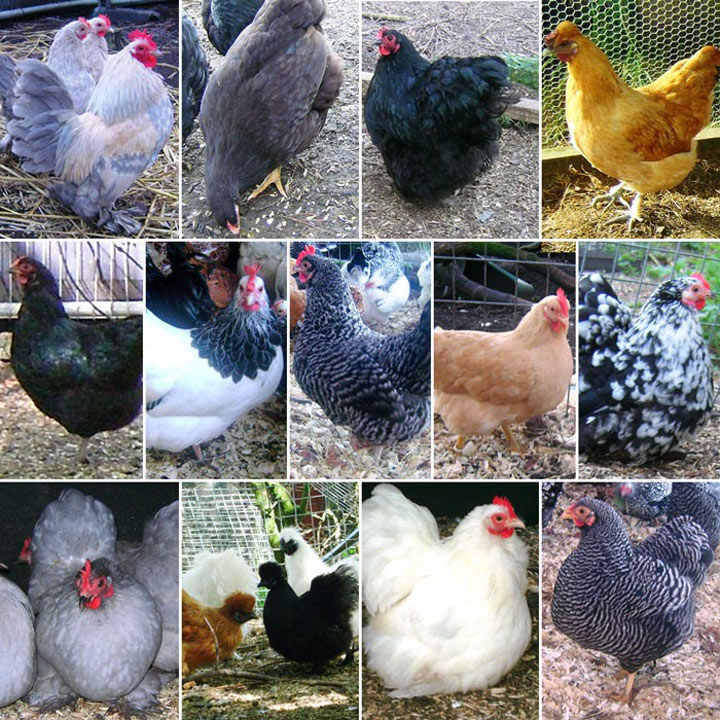 The breeds are: Barred Wyandotte, Black Mottled Pekin, Black Orpington, Buff Plymouth Rock, Chocolate Wyandotte, Cuckoo Maran, Gold Top, Lavender Pekin, Light Sussex, Sablepoot, Silkie, White Pekin. When you receive your eggs, they will be numbered showing which breed run they come from and the numbers can then be cross-referenced to a sheet enclosed with the eggs. This will tell you which eggs are from which breed of bantams. TERMS AND CONDITIONS - We guarantee that the eggs will reach you intact but cannot guarantee that they will hatch. This is because we have no control over what happens to them once despatched. A broody hen may have left the nest, there may have been an incubator malfunction or power cut, all or any of which would affect the viability of the developing embryo. What we do know is that the eggs are viable at the time of despatch as fertility is constantly monitored. As fertile eggs are perishable we are not able to accept cancellations once the eggs have been despatched. Nor do we accept returns.